New meets old in the gardens of Versailles. ← Marie Antoinette’s rustic retreat. 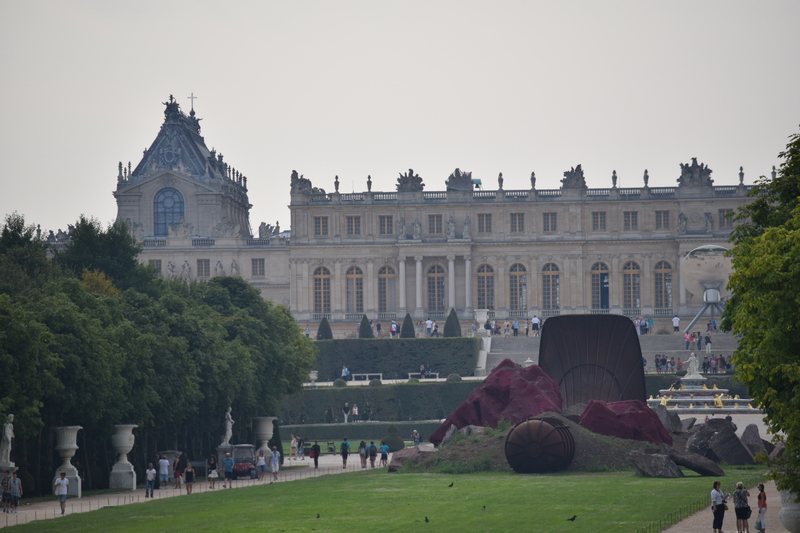 Contemporary art has become a feature of a summer visit to the gardens of Versailles, so if you want to appreciate the uncluttered splendour of Le Nôtre’s landscape, then best visit in spring. 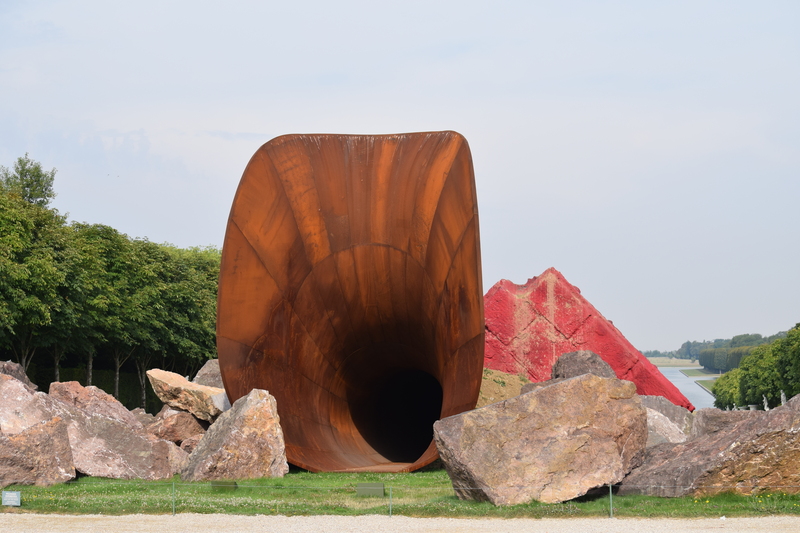 This year’s offerings are from the prestigious Indian-British artist Anish Kapoor and rumours of controversy added a little frisson of expectation. “The very controlled landscape of Versailles is drawn into instability” we are warned. 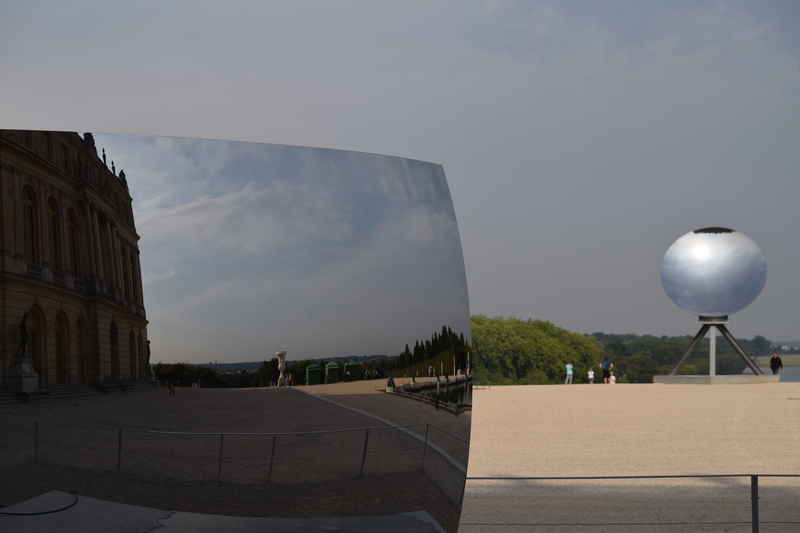 “The grounds become uncertain and moving”, and indeed one’s first encounter, on the main terrace beside the Château, is both enchanting and fun as ‘C-Curve’ s curved steel wall reflects and distorts its surroundings, turning your world upside down. Close by, is the wondrous ‘Sky Mirror’ ; drawing the clouds and a hazy early morning sun into its sphere, like a metaphor for the founder of Versailles, the Sun King. I loved them both. Dazzling, impressive, adding rather than subtracting from their surroundings, making us look at the architecture anew and drawing a celestial world into our immediate vision. Moving forward to gaze at the vast Le Nôtre landscape of terraces, bosquets and canals stretching out in a grand vista below us, I felt the shock of the new. Gouged out like a giant horn, with strewn boulders – in Le Nôtre’s Grande Perspective – lies ‘Dirty Corner’. ‘Dirty Corner’ in the landscape. 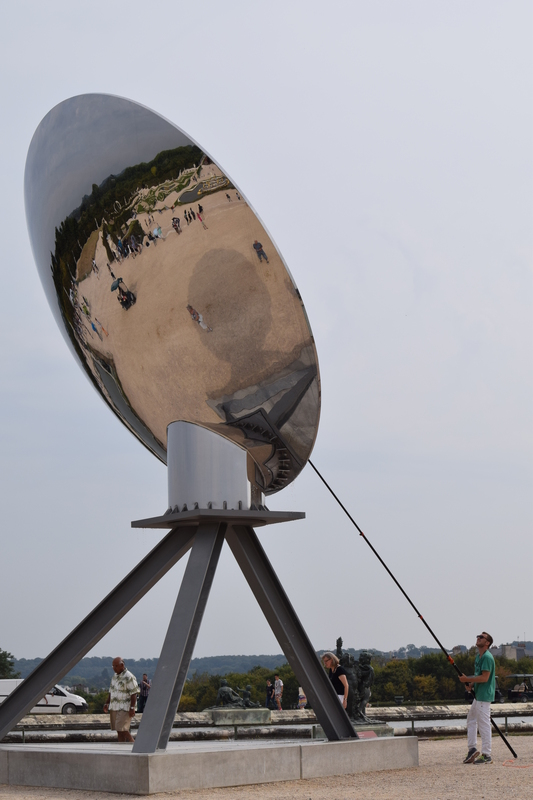 There has been some anger in France about this 10 metre high rusted steel sculpture, which Kapoor reported was sexual in nature, alluding to the private parts of a Queen who seized power. “I had the idea to upset the balance and invite chaos”. Closer inspection didn’t really improve it for me. It certainly provokes a reaction. It is monumental in stature. England’s “Daily Mail” took great delight in recording tourists’ reactions to it. Vandals smeared paint on it within a week of its installation. It has certainly “upset the balance”. Walking further into the landscape and looking back at the Château, ‘Dirty Corner’ upset my balance – what if this was the only time you were to visit Versailles and therefore never to experience the harmony of the intended landscape? I’m always surprised by the seemingly cavalier way the French treat this great landscape, the most visited garden in the world. I like the way they embrace contemporary art, especially as it is temporary, and try to present something new and fresh. But this Art in the garden, this “Dirty Corner”, was just a step too far for me. 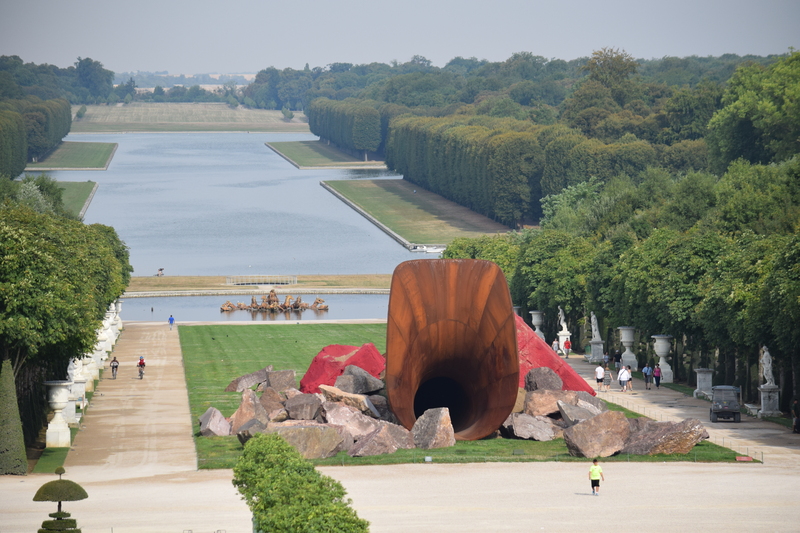 Anish Kapoor in Versailles, runs until November 1st, 2015. That is really different. I would not expect to find modern art there. I was there decades ago in both spring and winter and enjoyed the gardens both times. Thanks again for the great photos! Many thanks! Have to admit I really disliked the “Dirty Corner” art work! So glad to see your post just before I visit Versailles. Now I’m quite curious. And prepared for these works. Oh that’s great! Hope you have a wonderful time! 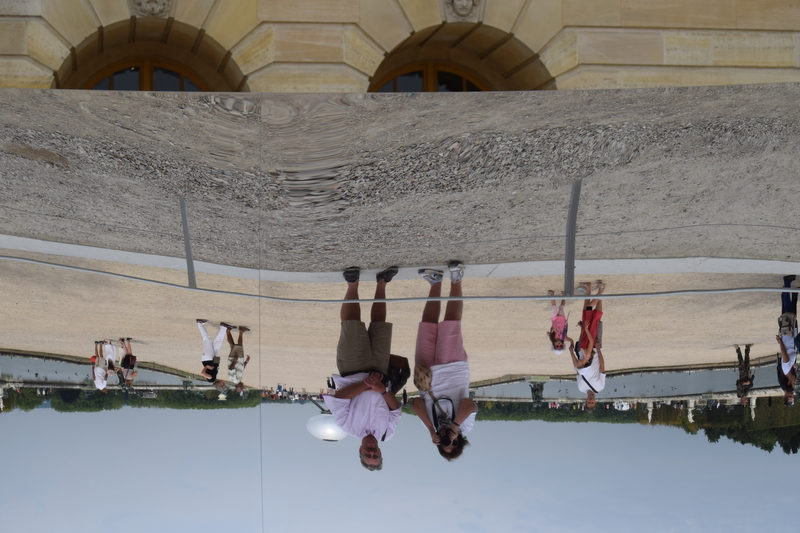 Your post really prepared me for what I saw at Versailles. 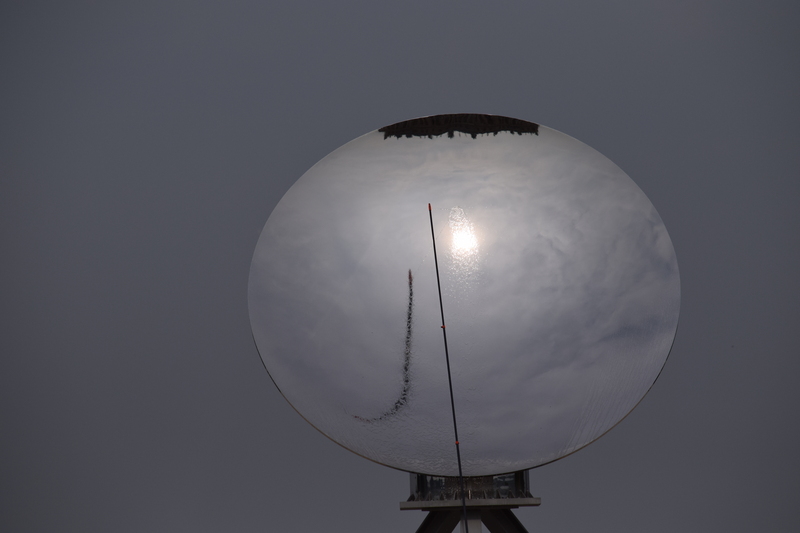 Loved the mirrors; found them fascinating. I even liked Dirty Corner in some deranged way. So vastly different from the carefully arranged beauty all around these gardens. (More on the gardens in a future post of my own.) Thanks again. Really glad you enjoyed the gardens and even Dirty Corner! And you’re so right, a contrast (shock?) in contrast to the formal landscape. Will look out for your own post!